Image above, Westpac Barangaroo by Geyer – winner of the Sustainability award at IDEA 2016. Photo by Richard Glover. Sustainability is a term that gets loosely thrown about; it forms a standard part of the built environment lexicon, but in many cases it is just a feature, not a driving factor. Orientation, solar consideration, thermal mass – these are just some of the considerations when building sustainably. But what about the architecture and interiors that go beyond ‘best practice’? ADR looks back at the winning projects in the Sustainability category from IDEA over the last five years, which is sponsored by Instyle. This retrospective gives some insight into the evolution of sustainability within the industry and highlights how new technology and advances in the space can begin to filter down, as well as tried and true mechanisms that result in big gains. Extensive greening was used at Westpac Barangaroo by Geyer. Photo by Richard Glover. This new work space achieved six-star Green Star Interiors Pilot rating, and beyond the technical specs needed to reach that, the entire fitout is focused on enhancing staff well-being, highlighted in the fact that 14% of the net lettable area (NLA) is dedicated to employee amenities and open space. 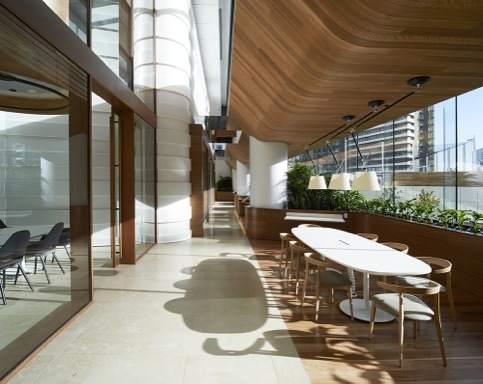 Westpac Barangaroo is an evolution beyond activity-based working, catering to an adaptable, health-conscious workforce, facilitating work/life balance. Read more on Westpac Barangaroo. 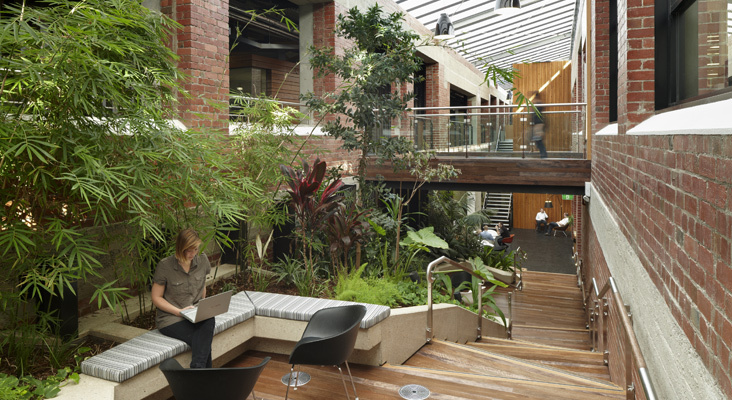 Natural light is brought into the workplace by HASSELL. Photo by Peter Bennetts. 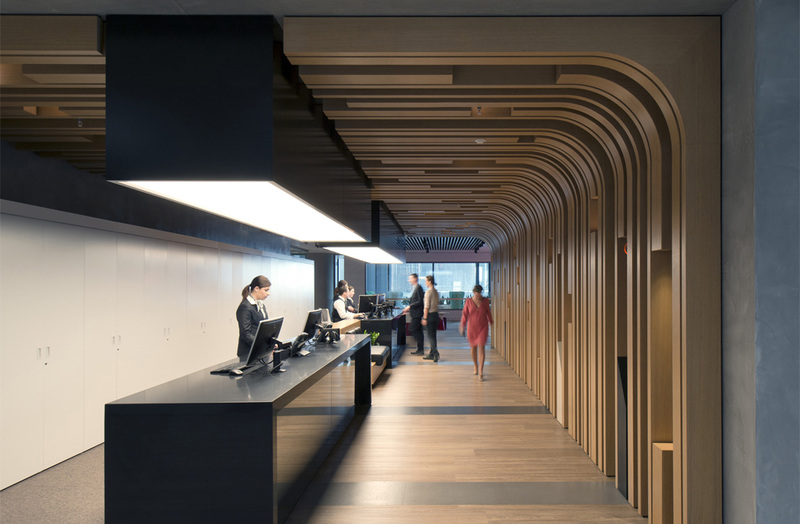 Part of a larger urban and landscape development project carried out by HASSELL and Woods Bagot at Melbourne’s Docklands precinct, the Medibank workplace uses the health insurer’s brand moniker as a starting point – the fitout designed to also create better health. The design gives back to the community by bringing in an urban park along with extensive greening via interior plants, façade greening and green walls. This approach is intended to improve health and wellbeing of the employees. From a technical standpoint, the fitout achieved a five-star NABERS Energy rating based on carbon emissions in operation. Innovations include a rooftop solar PV array, tri-generation system, water efficient fixtures and fittings, drought tolerant landscape, rainwater harvesting, grey water collection and treatment for reuse. Read more about the Medibank Place development. The interior of multi-res project The Commons by Breathe Architecture. Photo by Andrew Wutke. Every detail in the multi-residential development at The Commons has been considered for its sustainability properties. 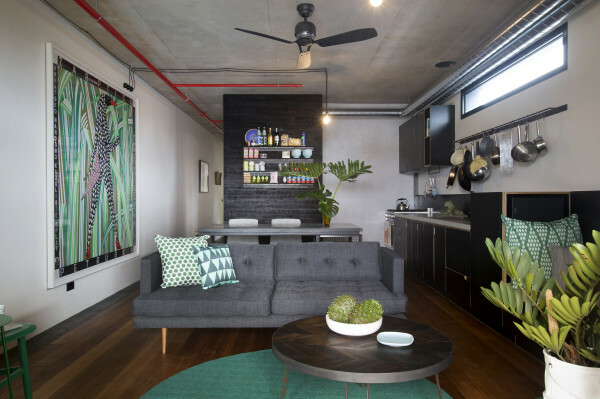 The raw, shell-like industrial interiors of the apartments are a blank canvas for residents, inviting people to make their own mark on the space. Taps and door handles were specified in a pre-chromed state, to “lower the embodied energy in the building”, with the added benefit being that “the more you touch it, the more it patinas, the better it looks” says Jeremy McLeod, director of Breathe Architecture. All the materials were chosen for their sustainable credentials along with their ability to age over time. The Commons has a sustainability management plan, with the person responsible residing in one of the apartments, a role that empowers the residents to maintain the environmental initiatives. The Commons is an example of a grass-roots project that has a sustainable approach deeply embedded within, not just the building itself, but also with the people who live there. Read more about The Commons, and similar projects built under the Nightingale housing model. The community rooftop at the Wayside Chapel with gardens that are used by the café. Photo by Owen Zhu. Originally opening in 1964, The Wayside Chapel has been a place of significance for Sydney-siders. Situated in the centre of Kings Cross, the chapel has been a place of refuge and respite for people from all walks of life. Growing steadily since the ’60s, the Wayside Chapel took on a new four-storey wing and Environa Studio began work on a holistic sustainable design approach over the course of 15 years. Sustainability can be seen through its passive design with thought for its future use by integrating a completely loose and flexible design solution. 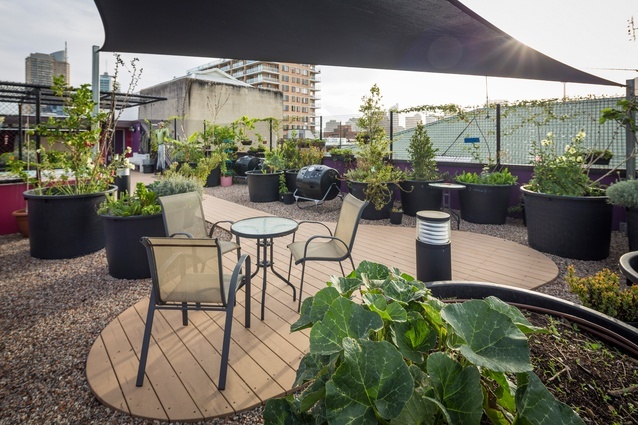 Adding an extra element of delight, a rooftop community garden replete with organic crops feeds into the café below. Interior laneways bring natural light in. The blood processing centre for the Australian Red Cross Blood Service by DesignInc is housed within an existing 1920s warehouse. The adaptive re-use project uses the brick shell of the original assembly factory and brings it up to current standards to accommodate the complex needs of the service. Internal courtyards and laneways provide circulation, while greenery and interior landscaping brings natural light into the deep site. Many of the materials were reclaimed, including the old roofing timber which structurally needed replacing but was used as cladding on breakout ‘pods’. Entries for IDEA 2017 will open in February; in the meantime peruse all the past IDEA winners, commendations and shortlisted projects.